Union County, NJ – The Union County Board of Chosen Freeholders is pleased to announce a free teacher training workshop for teachers K-8 on Thursday, March 7 from 9:00 a.m. to 2:00 p.m. The “Eagle Cam in the Classroom” program offers a unique opportunity for formal and non-formal grade school teachers to learn how a wildlife cam can be effectively used as a teaching tool. “We’re glad to offer this teacher training workshop to help teachers bring eagles, virtually, into their classrooms. Through this program, students can see first-​hand how these majestic birds live and, hopefully, how we can help them survive,” said Freeholder Chair Bette Jane Kowalski. The bald eagle population in New Jersey continues to soar largely due to the work of biologists from the New Jersey Endangered and Nongame Species Program, and Conserve Wildlife Foundation of New Jersey (CWF). 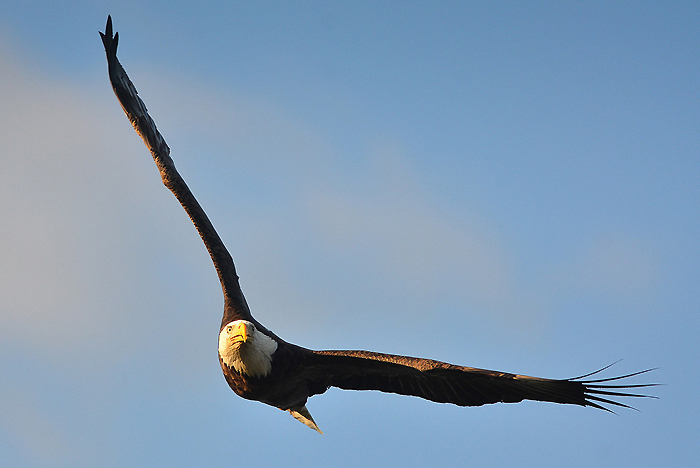 Teachers can learn more about the habits and habitats of bald eagles and how to bring these charismatic raptors into their classroom through the use of CWF’s live cams. CWF and New Jersey State Biologist for eagles, Larissa Smith, will help teachers understand the science behind New Jersey’s bald eagle population and the adaptations that make them unique. In addition, Stephanie DAlessio, Education Director of CWF will explain the many ways eagle ecology can be used in the curriculum for STEM lessons. Live birds of prey will make an appearance from the Tenafly Nature Center. A light morning snack and lunch will be served. Earn 5 professional education credits. Class size is limited; register early at ucnj.org/trailside. This program is free and is made possible by funding support from Conserve Wildlife Foundation and the Trailside Museum Association. Trailside Nature and Science Center is located at 452 New Providence Road in Mountainside and is a facility of the Union County Department of Parks and Recreation. Photo credit: Don Freiday, USFWS.